Over the past year-or-so, Microsoft has been on a shopping spree, snatching up numerous indie studios like Obsidian Entertainment, Ninja Theory, and Playground Games, but rival Sony hasn’t opened their checkbooks in response. Will the PlayStation first-party team be expanding at all as we head into the next generation of consoles? “Back in 1995 during the PS1 era, E3 served two constituencies: retailers and journalists. […] retail has really dropped off. And journalists now, with the internet and the fact that 24/7 there is game news, it’s lost its impact. So, the trade show became a trade show without a lot of trade activity. The world has changed, but E3 hasn’t necessarily changed with it. What do you think? What studios would you like to see Sony snap up? 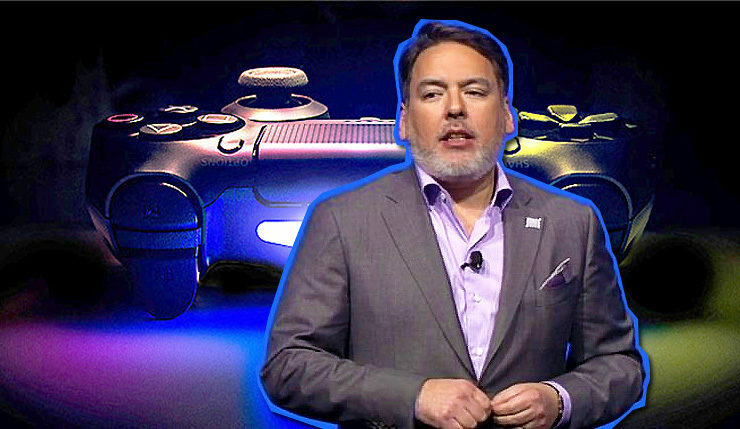 And do you like Layden’s vision for E3 or do you prefer the traditional big-announcement-packed extravaganza?